MONTRÉAL, QUÉBEC--(Marketwired - Jan. 21, 2014) - The Québec Federation of Real Estate Boards (QFREB) presented on January 16 the third edition of its annual Fenêtre sur le marché conference, in collaboration with the Greater Montréal Real Estate Board. More than 450 industry stakeholders participated in this event, which was held at the Centre Mont-Royal and which was attended by Québec's Minister of Finance and Economy, Mr. Nicolas Marceau. When addressing the crowd, the deputy from Rousseau did not fail to remind his federal counterpart, Jim Flaherty, that "further tightening of mortgage insurance rules could be harmful" to Québec's real estate market. "It's in Ottawa's DNA to propose uniform solutions across the country," said Marceau. With a touch of humour, he added that real estate is not coast to coast, rather it's location, location and location. The most recent tightening of mortgage insurance rules had a definite impact on the real estate market. Across the Montréal Metropolitan Area, sales of residential properties fell by 9 per cent in 2013, indicated Paul Cardinal, Manager of the Market Analysis Department at the QFREB. Prices remained relatively stable, in a market that no longer gives sellers the upper hand. Mr. Cardinal predicts that, in 2014, sales will increase slightly by 3 per cent and the median price of single-family homes will grow by 1 per cent. Market conditions will be balanced for the most part, with the exception of the condominium market, which will give buyers a slight advantage. Mathieu Collette, Director of Condominium Market Studies at Altus Group, explained that regulatory, economic and demographic forces will promote condominium development. In 2013, the proportion of new condominiums sold reached 84 per cent in newly constructed buildings, 67 per cent in buildings under construction, and 39 per cent in condominium projects at the pre-sale stage. Mr. Collette reassured the audience by stating that there are not too many condominiums currently under construction in the Montréal area, but indicated the pace of new housing starts is expected to slow. According to Carlos Leitao, Chief Economist at Laurentian Bank Securities, Canada's economy has entered a transition period. To facilitate this transition, the Bank of Canada's monetary policy will remain accommodating so that the key interest rate increases but only very slowly and beginning only in 2015. Meanwhile, medium- and long-term fixed rates will increase gradually in 2014 and 2015 due to an expected global economic recovery, partly supported by the economic recovery in the United States. Paul Cardinal of the QFREB concluded this conference with the outlook for the residential real estate market in Québec: while the 2013 real estate market witnessed a soft landing, 2014 will be more dynamic, especially if it is not impacted by another tightening of mortgage rules, he indicated - a wish that is shared by Minister Nicolas Marceau. 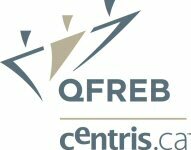 The Québec Federation of Real Estate Boards is a non-profit organization composed of Québec's 12 real estate boards and the close to 14,000 real estate brokers who are their members. Its mission is to promote and protect the interests of Québec's real estate industry so that the boards and their members can successfully meet their business objectives. The Greater Montréal Real Estate Board is a non-profit organization with close to 10,000 members: real estate brokers. Its mission is to actively promote and protect its members' professional and business interests in order for them to successfully meet their business objectives.